When buying a new home it is important to inspect for old, outdated, faulty or improper wiring. You should always know the condition of the wiring and the electrical system of any Spokane home before purchasing it. Handyman Electric, LLC will thoroughly inspect the electrical on your home and ensure that it is up to Spokane electrical code compliance and to also make sure it is safe for you and your family. 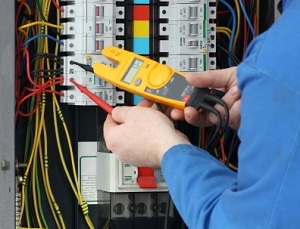 If your home is not up to standard, our Spokane electricians can make any corrections needed to bring it up to code. At Handyman Electric, LLC, we want you to feel safe and trust the electrical system in your home. Last thing you need is an electrical fire or accident damaging your home or belongings. Our Spokane electricians are focused on getting the job done right the first time. We are your #1 Spokane electrical inspection expert...that you can trust.